There are all kinds of monsters in the Minecraft world, including the Creeper. It’s a nasty opponent that sneaks up and then explodes, destroying everything around it, including you and your constructions. It gives very little warning, and can have devastating effects. Luckily there is a simple way to repel them – keep a cat around, and Creepers will run away. Unfortunately, there’s another type of creeper on Minecraft servers – creepy dudes who creep on kids. And getting rid of them is more complicated. I asked a certain ten-year-old girl I know (who I’ll call Bella) what kind of chat messages she had gotten from other players that made her feel uncomfortable. She also described another player constantly following her in “sneak” mode and mimicking all her movements. To me, it sounds like there are certain players who will flirt with, proposition, stalk, or abuse players who use female character skins. My guess is this is mostly coming from immature teenage boys (the bulk of players are 15-21, and 94% are male). Motivations probably range from clueless romantic excitement that “OMG, there’s a girl, an actual, real female person, who is into this game I love,” to older boys forgetting/ignoring that a lot of pretty young kids play, to just straight-up trolling jerkwads. As much of a worrier as I normally am, I doubt there are many actual child predators lurking for prey on Minecraft gaming servers. But who cares? The point is that prepubescent children are trying to play a fun game with friends, when someone sidles over and sexually harasses them. My concern is protecting my kid from the feelings Bella describes: feeling stunned, wondering, “What’s wrong with you? !” and well, being creeped out. I asked Bella what she does when this kind of thing happens. She replied that she tries to ignore it, waits for chat to end when a game round begins, and had just learned from a friend that you can block communications from individual players. In reality, there is a lot more that one can do, but kids don’t necessarily understand the systems and procedures for reporting bad behavior. So here is some information on what you can do. First, of course you could prohibit your child from playing online. Or from playing on servers you’re not familiar and comfortable with. I’m personally not willing to say “no servers,” because my kid really has a ton of fun with her friends online. Second, you could identify certain servers that seem problematic, and avoid them. You need to be able to rely on your child to tell you what’s going on, and check in with them for this to work, of course. Third, you and your child can take action against specific people. Typing “/mute” followed by the offender’s name will prevent that person’s messages from showing up in your chat window. So for this server, if Bella had someone swear at her or sexually harass her, she could take a screenshot showing the offending material in her chat window, then post it in the forum for a moderator to review. It’s a bit complicated – you’d have to create an account on the forums, and then upload the image of the screenshot. But at least there is recourse. Servers often have moderators in-game as well. If you can identify one of the players as a moderator (or the administrator of the server), you can send a chat message to them asking for help dealing with abusive messages. Usually the command is /tell or /msg, followed by the moderator’s name, then what you want to say to them. Moderators will usually ban a player who has violated the rules, either for a certain time, or permanently. 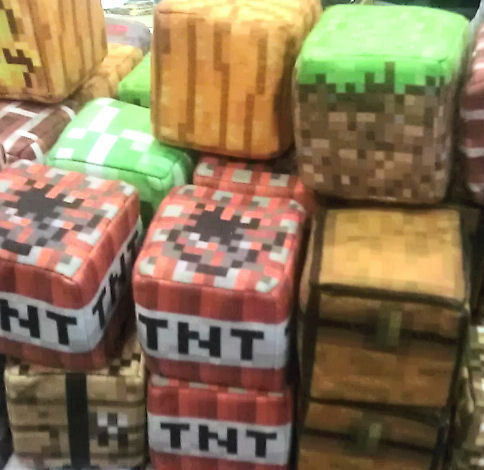 Each family has to decide whether the fun, camaraderie, and learning their child gets from Minecraft servers is worth dealing with the chat messages they’re seeing, and how the monitoring should be done. And even if you hover and help respond to nasty messages, you can only react after your kid has seen them. It’s a difficult question. But I figured parents can’t think through how they want to handle it unless they know it’s happening. I was grateful to find out about it, and we’re taking action. As things develop, we might change our approach. Always . . . no . . . never forget to check your references. A field guide to passive resistance, for citizens living in a country occupied by fascists.